Building Amway online can be an incredible easy thing to do when you understand some basic internet fundamentals. Over the years, Amway has grown tremendously and obviously they are doing something right as they are still a well stablished and global recognized network marketing business. If you want to learn how to recruit people into Amway online, click on the button below. Anyway… there is a great disconnect with the successful people in this network marketing company and the people who want a better way to be able to build their Amway business on the internet. Then you are told to go to their home or invite them to an Amway presentation. But what happens when you run out of friends and family members to “pitch” your business to? Stick around and you are going to learn how you can use the internet to get prospects coming to you to join you in your Amway business. This is essentially how you can begin to build Amway online. Regardless of your technical skills, a system will remove the pain of wondering around pitching people to join your business. But building Amway online is much more than just capturing an e-mail. After having the email address of the prospect, the next step is just to follow up with your prospect. Even the follow ups can be automated if you build “Amway online“. Do you think you can now be successful in building Amway online. The video could not open. I have just joined a direct selling network marketing company and I am totally interested in online marketing, as I think that is where everyone is heading in few years. Please help and advise how I can get started with building my online presence and basically market what I have to offer! Your post makes complete sense to me. Can you share what are your thoughts on how can we use social media i.e. facebook for our network business. In which particular area facebook can help us? Secondly, did you personally gain benefits from using social media and attraction marketing? Thanks Sukhminder. Social media can be a very powerful platform to attract the right prospects. The key is in using social media as pre-framing platform and not necessarily to pitch your opportunity. Example: showcase your lifestyle and what you stand for – and people will be more attracted to you and will want to know more about your biz. I’ve build some of my best business relationships through social media, specifically Facebook. Your blog is very promising. 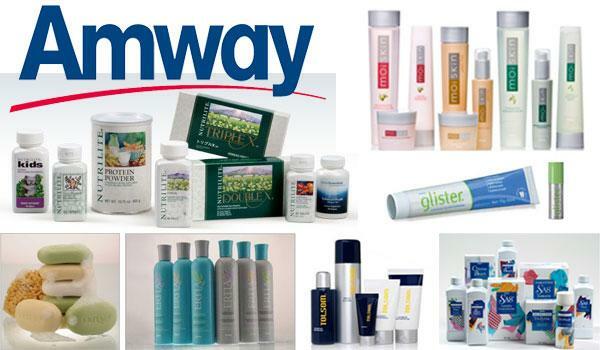 I have been into Amway business since the last 6 months. Have added couple of people under me however, I am wondering how to get new prospects online. I have created a capture page via weebly. Where should i post my website address inorder to get maximium visitors? Hey Nithin, thanks. Good to know that you’ve just started on the journey in Amway and Network Marketing. Well.. after being in the game for over 6 years, my model now is 90% automation of lead generation and sponsoring, and 10% of time in nurturing my team. The big challenge especially today in any MLM is most companies do not teach the reps to market online the right way. It’s mostly about hitting on strangers, family and friends, which is the worst way to prospect. 2. Provide value to the market. Speak about the benefits of consuming the products, and not the product itself. 3. Make a list of pain points and convert them into blog posts. 4. Share the blog post on your personal profile on Facbeoook and other relevant groups. 5. Be consistent, give massive value and start shooting videos. 6. Your videos will start working for you even while you sleep. 7. Once you build leverage over time, you’ll see leads and sales and downlines growing on auto-pilot. This is the formula I learnt a few years back from my mentor David Wood. Hope this post will finds you well. I am in Amway business since last 1year and building thus business. Now I want your guidance and suggestions… how to prospect someone online… how to retail my amway products through online. Is there any website which can help me. Hi Purushottam. Thanks for your message. Yes, the best way to get people to you is to build your personal brand online. Connect with me on Facebook, and I’ll share with you some useful resources. I am in Amway business since last 3 months and building thus business and getting frustrated. Now I want your guidance and suggestions. How to prospect someone online, how to retail my Amway products through online. Is there any website which can help me? Please guide me how to proceed further? Hi Pawan – Thanks for your message. Good to know that you’re in the Amway business. To learn how to prospect online, you have to first understand how to leverage internet based systems, instead of following the old methods of protecting, which do not work as much today. I recommend that you visit http://internetlifestylealliance.com to get education on online systems. I Wana Begin A Blog Page Could You Please Guide Me Through! Hey Utkarsha… Sure, I recommend that you visit http://internetlifestylealliance.com and go thru the most comprehensive training on how you can build a proper digital strategy. You can connect up with me on Facebook for any further questions. I am an Amway Business Owner since last 1 month and i always wanted to grow my business online because i am tired of searching people offline. Also, i want to grow my business at a fast pace. Please help me how to get involved online, how to get more and more people online and most importantly how to work online, so that i can increase my sales rapidly. I just recently joined as an IBO and I am very interested on links or infor. on the products and how to attract potential IBO’s. Definitely…wants to know how to build the business on online?